When you’ve got a lot of cables going out every which way from your controller box, labeling them is essential. These marker cable ties simply attach to the cable. Write on them with a fine point Sharpie permanent marker. 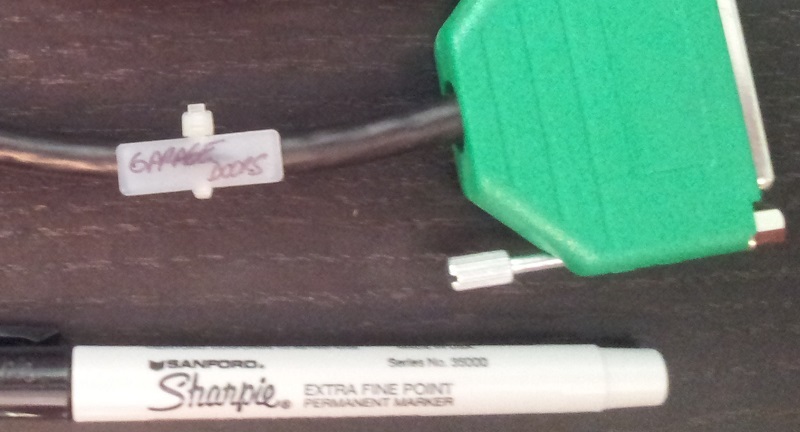 They are also good to mark channel numbers or element names where the wiring harness breaks out at the other end. This type is subtly different. 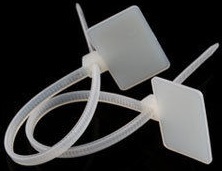 The tag part sticks out, but it means that the tie can be fastened around smaller cables.